Amazon really had made self-publishing incredibly easy and in some cases remarkably lucrative. And it really had made books more affordable. Amazon’s self-published authors’ books were particularly inexpensive, and also something else: they were a particular kind of book. On the publishing side were huddled the biographers, urban historians, midlist novelists—that is, all the people who were able to eke out a living because publishers still paid advances, acting as a kind of local literary bank, in anticipation of future sales. Some pro-Amazon authors boasted of the money they’d earned from self-publishing, but the authors of books that sometimes took a decade to write knew that this was not for them—that in an Amazon future they would be even more dependent on the universities and foundations than they already were. When pro-Amazon authors lashed out at traditional publishing, they often spoke with the passion of the dispossessed. The publishing houses made a lot of money on their own genre best-sellers, but the Amazon backers were not wrong to think that some of the institutions associated with American publishing did not take self-published genre writers all that seriously, and probably never would. Ao contrário das antigas casas de edição a Amazon parece muito mais democrática e com créditos por uma maior circulação de literatura, pelo que no choque frontal com as tradições anteriores não lhe faltaram autores à defesa. No company in recent years has done more than Amazon to ignite a national passion for buying, reading, and even writing new books. Writers who had been self-publishing on Amazon, some of whom had made a good living out of doing so, now rose to the defense of their benefactor. "New York Publishing once controlled the book industry," stated the authors. "They decided which stories you were allowed to read. They decided which authors were allowed to publish. They charged high prices while withholding less expensive formats. They paid authors as little as possible." [ Depois do acordo assinado com a Apple e obrigando a Amazon a permitir às editoras decidir os preços dos ebooks ] Books from a number of different publishers were all priced at $13.99. "That just doesn’t happen in the real economic world, unless something is going on." That something would have been a conspiracy to fix prices. April 2012, the U.S. Justice Department filed a complaint against Apple and the big publishers. The federal complaint was a shock and an embarrassment to the publishing community. Apple decided to fight to the end, but the publishers felt they couldn’t afford to, and settled. They agreed to abide by a system whereby the commission system remained in place but Amazon and other retailers retained the rights to some discounting. The lawsuits were experienced by the publishers as a catastrophe, and may have cooled Apple’s ardor for the iBooks project. The publishers had finally gotten together and done something to slow Amazon. And the government stepped in and stopped them. Amazon [putting real marketing muscle behind the Kindle] launched the e-book revolution: E-book sales skyrocketed. Digital books have been around for decades, ever since publishers began experimenting with CD-ROMs, but they did not catch on with consumers until 2008, shortly after Amazon released the Kindle. The Kindle, which was joined by other devices like Kobo’s e-reader, the Nook from Barnes & Noble and the iPad, drew millions of book buyers to e-readers, which offered seamless, instant purchases. Amazon may not use its power benignly or for the benefit of literary culture. Critics may appear weak today, but they may not be tomorrow, and if the wind shifts, Amazon’s ham-fisted strategy has the potential to morph into a genuine Occupy Amazon movement. And even if the company is lucky and that doesn’t happen, what has it really gained? The fickle gratitude of people who will have about as much loyalty to Amazon tomorrow as they do today to Barnes & Noble, last year’s bully? E uma nota extra para provocação: o artigo acima foi respondido com um comentário que queremos deixar registado. O autor reconhece a importância do $$$ implicada, e tenta dirigir-se a essa notando pela voz de terceiros que nem sempre o barato assim sai, mesmo se os consumidores não parecem ser sensíveis a esse argumento. She wrote me: "I don’t think they care. I do think it’s worthwhile explaining to customers that the lowest price point does not always represent the best deal. If you like going to a bookstore then it’s up to you to support it. If you like seeing the people in your community employed, if you think your city needs a tax base, don’t use Amazon." Tom agreed: "People have to understand that their short-term decision to save a couple bucks undermines their long-term interest in their community and vital, real-life literary culture." Sure, I’m a fan of Amazon and devote a substantial portion of my income to its coffers—but does it have to be so wantonly callous about destroying its competitors? Compared with online retailers, bookstores present a frustrating consumer experience: relatively paltry selection, no customer reviews, no reliable way to find what you’re looking for, and a dubious recommendations engine. In the past, bookstores did have one clear advantage over online retailers—you could read any book before you purchased it. But in the e-book age that advantage has slipped away. They’re economically inefficient, too. Rent, utilities, and a brigade of book-reading workers aren’t cheap, so the only way for bookstores to stay afloat is to sell items at a huge markup. I get that some people like bookstores, and they’re willing to pay extra to shop there. They find browsing through physical books to be a meditative experience (...) and that’s fine: In the same way that I sometimes wander into Whole Foods (*) for the luxurious experience of buying fancy food, I don’t begrudge bookstore devotees spending extra to get an experience they fancy. * Quem vai comprar a Whole Foods, quem é? Russo argue that readers who spurn indies are abandoning some kind of "local" literary culture. There is little that’s "local" about most local bookstores. Unlike a farmers’ market, which connects you with the people who are seasonally and sustainably tending crops within driving distance of your house, an independent bookstore’s shelves don’t have much to do with your community. Sure, every local bookstore promotes local authors, but its bread and butter is the same stuff that Amazon sells—mass-manufactured goods whose intellectual property was produced by one of the major publishing houses in Manhattan. Wait, but what about the bookstores’ owners and employees—aren’t they benefitting from your decision to buy local? Sure, but insofar as they’re doing it inefficiently (and their prices suggest they are), you could argue that they’re benefiting at the expense of someone else in the economy. After all, if you’re spending extra on books at your local indie, you’ve got less money to spend on everything else—including on authentically local cultural experiences: your local theater company, your city’s museum, purchased some locally crafted furniture, or spent more money at your farmers’ market. Each of these is a cultural experience that’s created in your community. Buying Steve Jobs at a store down the street isn’t. Hélas, a Amazon é um glutão monopolista, não uma utopia literária - mesmo se a tua livraria local seja apenas um escoador de livros de supermercado. Recordemos algumas táticas da Amazon na frente livreira: mandou os seus clientes a lojas alheias espiar preços e deu-lhes ofertas por isso, tem uma patente para impedir que façam o mesmo nas suas lojas, quando uma editora lhe exige direitos corta-lhes o acesso. The Price Check promotion: a brazen attempt to crush local retailers. Last week, the company offered people cash in exchange for going into retail stores and scanning items using the company’s Price Check smartphone app. If you scanned a product and then purchased it from Amazon rather than the shop you were standing in, Amazon would give you a 5 percent discount on the sale. [Amazon was] granted a patent for future technology that would prevent brick-and-mortar shoppers from online price checking, chok[ing] off a common issue faced by many physical stores: customers’ use of smartphones to compare prices even as they walk around a shop. Amazon may not use its power benignly or for the benefit of literary culture. The last time someone stood up to Amazon: nearly two years ago, the Macmillan publishing group adopted a new sales model that would cost Macmillan in the short run, but allow other companies to enter or remain in the e-book market without having to take a loss on every sale. Amazon’s response to more competition? They refused to sell not merely Macmillan’s e-books, but nearly every physical book Macmillan published. Goodreads .The site was popular among readers, and it soon caught on with publishers also, because it addressed a looming dilemma: discovery was becoming the biggest problem in publishing. The term came into widespread use around 2010, when, after 40 years in business, the major book chain Borders began its final decline. What was the value of these bookstores to publishers? It wasn’t just that they sold the merchandise and split the money. It was that they displayed the merchandise. And if bookstores were going out of business, as they were, and if readers were moving online, as they were, then how could publishers show off their wares? In 2006, that the way to make a best-seller was to put a copy of the book on the front table of every bookstore in the country. But there was no front table online. Goodreads gave publishers some hope that they could solve discovery; it may also have given them hope that they could solve a more immediate problem: Amazon. Publishers were becoming aware that they were overly reliant on Amazon. Amazon was selling more print books than anyone; was selling more e-books than anyone; was beginning to have success with unknown authors publishing directly in the electronic format; and, most important of all, was the go-to site for book-buying research and recommendations. Luckily Goodreads had already done it. Maybe the digital future wouldn’t be quite as scary as all that. 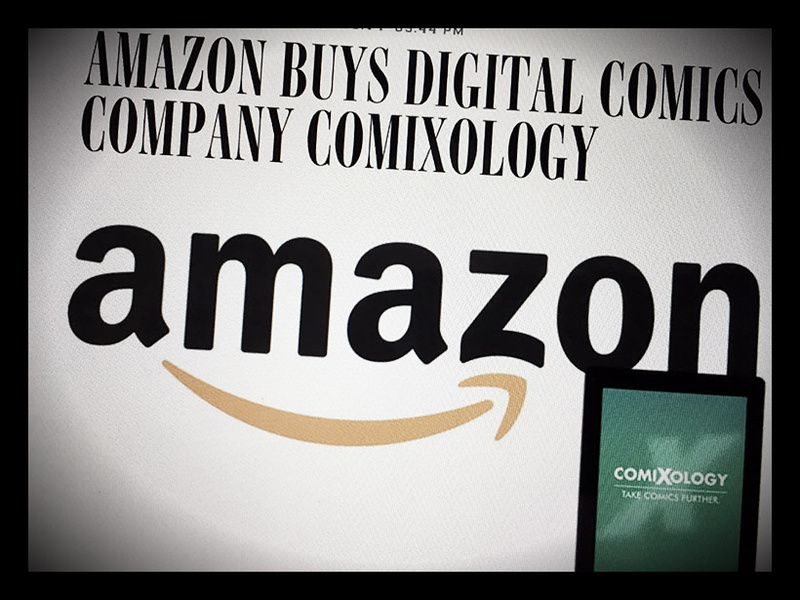 Representatives for both Marvel and DC [are] "confident that Amazon’s purchase of ComiXology will make both our partners that much stronger and allow us all to continue to enhance and build the fastest growing segment of our publishing business as we bring our digital comics and graphic novels to our fans all over the globe." But those double- and triple-digit growth rates plummeted as e-reading devices fell out of fashion with consumers, replaced by smartphones and tablets. The tug of war between pixels and print almost certainly isn’t over. Industry analysts and publishing executives say it is too soon to declare the death of the digital publishing revolution. An appealing new device might come along. Already, a growing number of people are reading e-books on their cellphones. Some publishing executives say the world is changing too quickly to declare that the digital tide is waning. "Maybe it’s just a pause here". E, sobretudo, pelo disrupt de práticas, hábitos e conteúdos. Vale a pena recordar a O'reilly que nos mereceu uma nota de rodapé no mashup anterior. Do followup ao anúncio do fecho da sua store: ebooks, leituras, evolução, Amazon. Pressupõe-se o papel algures, afinal continuarão a publicar livros. O'Reilly started out as a book publishing company. But from the beginning, I knew that our core competency was not the actual books we printed but rather the knowledge of the network of authors and speakers who agreed to work with us to produce important and relevant content. That talent developed content that worked its way into books. But we always recognized that there were other ways to spread that knowledge. When the digital revolution started, Tim and the team had the foresight in 2000 to build Safari. We believed, correctly, that reading a book cover-to-cover was only one of the ways people used our content. Many of them needed information on-demand. Times were progressing and we needed to progress with them. As new learning modalities emerged, O’Reilly moved to embrace new formats. Meanwhile, sales of books have declined consistently year after year since 2000! Ebooks expanded the market for a while, and direct distribution from oreilly.com was a great way to make them widely available while traditional retailers other than Amazon were slow to embrace that market. But starting a few years ago, ebook sales too started to flatten, and then to fall. As the slowdown accelerated, the contrast between the rapid growth of the subscription business and the interest in learning in new ways became ever more striking. Now, don't get me wrong, we believe in books, and the effectiveness of text as a tool for sharing knowledge, but the business model that had given us such a great start three decades ago has changed deeply. Amazon is pretty much the only retailer still supporting computer books, and the unit sales are a small fraction of what they were in the past. We are still publishing books, and you can buy them directly, either on paper or in a variety of electronic formats from a number of resellers, just not directly from us. 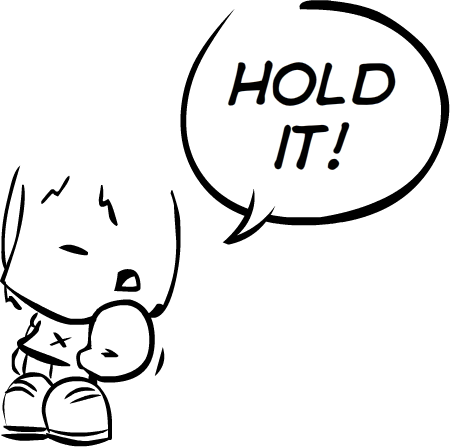 We’ve closed our online store, not our publishing operation!